Crowdfunding projects with video are twice as likely to succeed according to Tatyana Kapkan. In case you´re not familiar with crowdfunding, it is the use of websites like Kickstarter or Indiegogo to draw financial support from the public. Unlike traditional funding through angel investors, crowdfunding is funding through everyday people like you! Most crowdfunding platforms are all or nothing; either the company reaches their goal and gets 100% of the funds (minus site fees) or they don’t reach their goal and get nothing. This forces companies to be realistic with their goals and only ask for what they need to complete the project. One of the most heavily funded crowdfunding companies, Ubuntu Edge, raised over 12.8 million dollars, but did not receive a dime of it because its goal was 32 million dollars. This system is high stakes, so success is more critical than ever! The key to a successful crowdfunding campaign is getting the public to trust you. No matter how good your product is, no one is going to invest if they don’t trust that you will follow through with what you plan to do. One way to do this is through appearing in a video on your crowdfunding page. Having a video on your crowdfunding page does several things for you. It makes the reader see that you are a real person. With so many scams out there, readers often won’t trust just plain text. It also allows you to speak in an engaging and informative way about your product. According to SwitchVideo, 72 hours after someone watches a video they still remember 68% of the information presented compared to 10% for text. Given most large sum investors won´t make the decision to invest or not on the spot, having a video is helpful. It will cause you stick out in their minds when the time comes for them to make critical decisions. 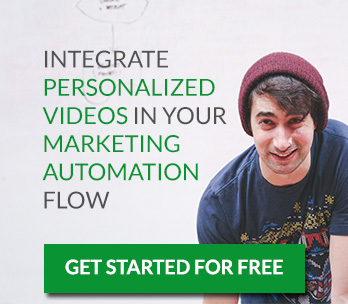 Just remember your video is the first thing someone will see on your crowdfunding page. It is your first and if it´s not good enough possibly your last impression, so make sure you have a good quality video with proper lighting and sound. Let´s look at one successful crowdfunding company. Pebble is a watch that syncs to your smart phone. It allows you to see important messages, control music, and of course tell time. Pebble made over 10.2 million dollars on Kickstarters. 1 million of that was made within the first 28 hours of the campaign. So what is the secret to their success? Good product. People are only going to invest in something they could find useful in their daily life. Clearly explain the rewards of investing. Whether it is one of your products or a T-shirt, people want to get something out of their investment. Let’s go more in depth on what makes a good crowdfunding video. Have a founder or someone high up in the company introduce your product. This grabs the viewers´ attention and gives you a chance to show people your passion and professionalism. People are more likely to invest if they feel connected to the maker of the product. Eric later introduces the whole team; once again reassuring the viewer that these are real people who are committed to making the product. Pebble showed the product in action. Showing the viewer that this product actually works gives people reassurance that they are investing in something valid. It also gives him the chance to explain the benefits of his product and why you should want it. Eric explained some of the process behind building the product. This gives the viewer a little context and understanding of how the product works. Statistics show that 2-3 minutes is the best length for crowdfuning videos according to Crowdfunder.co. Pebble´s video was 2:48 seconds, just under that three minute rule. This means you have plenty of time to briefly explain your product and the benefits of investing. He ends with a call to action, asking the viewer to donate anything they can in order to get Pebble out to the general public. Always end your post with a call to action. It gives the reader direction and an obvious next step. If you’d like to discover how Sezion can help you implement online video editing and generation at scale, please get in touch. Uncategorized crowdfunding, fundraising, Indiegogo, kickstarter, pebble, sezion, video, video editing, videoproduction. permalink.